Last week I began to investigate the spirit of British perfumery. Part 1 of my 3 part series considered an introductory take on the industry and focussed on the innovative humorous marketing and contemporary creations of Penhaligon’s. To read the post click here. 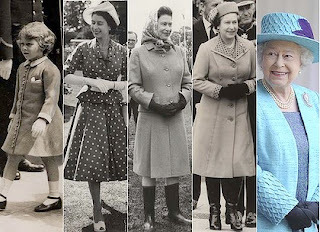 In this, Part 2, I will explore the connection between fragrance and the concept of royalty and patriotism. Firstly, I must explain that I’m not much of a royalist, which has made this article especially tough to write! My disdain was probably forged when, as a small child, I waited enthusiastically, drenched in rain with my fellow soggy school mates, to watch the Queen’s procession down our lane. After 3 hours of chilly sodden anticipation, her vehicle passed. Expecting her gracious smile and stately wave to lift our spirits we waved our flags with grinning abandon. We soon deflated at the sight of the back of her head viewed in a 50 mph blur. With questioning eyes we turned to our cross looking parents, how could she ignore us, a hoard of eager little children? Crushed! However, despite this non-event, it would be perverse of me to dismiss the importance of the royal patronage of perfumery, particularly when we look at the birth of perfume retail. Naturally, the perfuming of gloves progressed to the practice of perfuming the environment and body. As Europe’s highly influential royal and courtly citizens patronised the development of bespoke perfumery, this of course ultimately filtered down to ‘off the shelf’ products that could be purchased by less majestic customers. What better way than to be viewed as flourishingly successful than by donning an exotic smell rumoured to be gracing the courts of the reigning family? Today, the ownership of a royal warrant signifies a connection to royalty, specifically that a company with a warrant has supplied a product to a royal family for a minimum of 5 years. Floris gained their first royal warrant as suppliers of a ‘smooth pointed comb’ to King George the IV. Today, one of their warrants is held as perfumer to our own Queen Elizabeth. I wonder which one she wears? I can imagine her in a traditional floral such as Lilly of The Valley, though you never know, she could be secretly anointing herself in Etat Libre D’ Orange’s ‘Malaise of The 1970s’ or some other such fabulous eccentricity. Another company trading with a royal warrant are Grossmith, launched in 1825, Grossmith ceased trading in 1980 and rose again in 2009 back under family ownership. For an enchanting tale of the company’s resurrection with detailed photographs of the ornate vintage bottles, read an article from The Telegraph by clicking here. Grossmith deserve an entire post to themselves really as I was overwhelmed by the gorgeousness and raw pungency of their fragrances. Most interestingly, their collection of three classic orientals (Phul-Nana, Shem-el-Nessim and Hasu-no-Hana) which were composed using the original Victorian formulae without a budget restriction, are highly reminiscent of classic era Guerlain. The curious aspect is that all 3 were released BEFORE Shalimar, L’Heure Bleu and Vol De Nuit. Interesting eh? As I sit here writing, I have Hasu-no-Hana on one wrist and Shalimar on the other. It’s astounding to think that Hasu-no-Hana, ‘killer oriental’ preceded Shalimar by 33 years. I’m wandering off the point again but it does make me question the originality of what I thought were groundbreaking leaders in the genre. 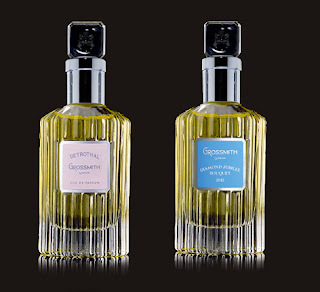 Did the Brits at Grossmith actually invent what we know as the benchmark oriental? 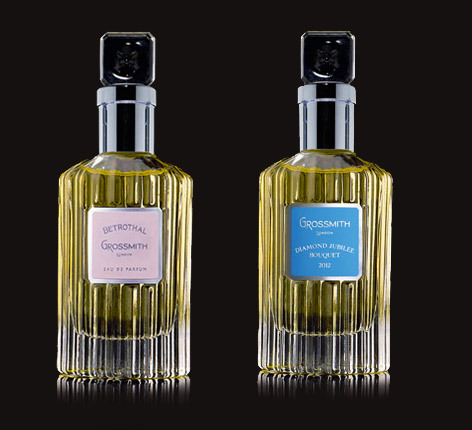 Grossmith currently produce two scents associated with royal events. Diamond Jubilee Bouquet was released in 2012 to mark the Diamond Jubilee, the astute amongst you may have already guessed that! 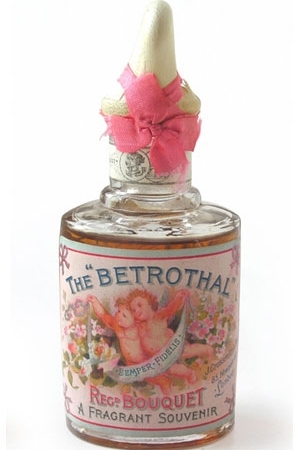 Betrothal was launched in 2011 to mark the wedding of William and Kate. Though this was an update of the original Grossmith Betrothal, which was created in 1893 to celebrate the marriage of Queen Mary and King George. I expected to yawn at Betrothral. The idea of a royal wedding scent to me conjures imagery of ‘pretty pleasantness’. Indeed Kate herself is the ideal PR girl for the modern Royal. She is sweet natured, intelligent, politely charming and highly unlikely to get them into scandalous trouble, in short ‘nice’. In honour of the royal wives, or dare I say divorcees? Those of you old enough to recall Sarah Ferguson’s exploits will remember her extraordinary sense of fun. Whilst the Internationally adored Diana was busy being photographed in portraits of beauty and enigma by the world’s press, Fergie was pictured in The Sun roaring with laughter, gob wide open, eyes goggling in the manner of a serious thyroid problem. She wasn’t ‘nice’, she had the manic air of someone who you’d probably have a darn good laugh with holed up in a pub for a night. I rather liked her. A striking opening is composed of citrus and ylang-ylang, both fighting each other for dominance. I’ve never been fond of Ylang but in balance with the citrus zest it’s wonderfully ‘shouty’, you certainly notice that you’ve just covered yourself in a perfumey perfume. See? It’s already more Fergie.. Quickly, a whopping great musk appears. Rather than lurking in the base it joins the scrum for immediate note dominance. I’ve not managed to work out what type of ingredients have formed the musk but whatever it may be is convincingly animalistic. I would love to smell genuine civet musk for comparison but these days we consumers baulk at the idea of an unlucky creature having it’s perineal gland scraped out for our olfactory pleasure. I smell very little in the way of standard Jasmine and wonder if this almighty animal whiff could be therefore caused by the combination of Jasmine’s notoriously filthy/lovely indole molecules and a synthetic musk, ultimately creating a highly carnal whiff? With this in mind, Betrothal is distinctly more ‘wedding night’ than ‘marriage’. As it dries down, the initial notes remain easily detectable but a vanilla/heliotrope accord joins in to project a powdery softness reminiscent of that of Guerlain’s Vol de Nuit and the famous Guerlinade base that formed the structure of so many great Guerlains. At this point you can feel the shift from exuberant to romantic. This little sample has made it to my ‘keep and eek out by micro milliliters’ box, where it shall be taken out with great care only in moments when I need to smell something extraordinary. Ultimately Kate did not walk down the isle in Betrothral, she chose White Gardenia Petals by Illuminum. I haven’t smelt it but I imagine it was very much more polite than Betrothral. In stark contrast is Floris’s Victorious. 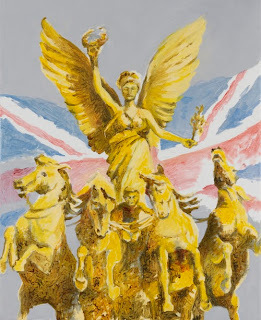 This isn’t strictly a royal celebration scent, their adaption of Royal Arms (originally created to mark the birth of the Queen and adapted to mark her Diamond Jubilee) is the most relevant for this post. However, I’m bending the rules as I much prefer Victorious! Victorious seems to echo the military connection of the royals, in particular the seafaring naval voyage aspect. Complex indeed, a veritable eton mess of notes (chuckling at my own toff pun). Somehow it works though, with the most dominant of the fragrance families being the marine and spices. Ordinarily I find marine scents a little lacking, in that they are not as ‘fresh’ as the sensation of citrus and cannot possibly replicate the beauty of hyper charged ozonic atoms rushing off the sea. What Floris has created is essentially a marine with unexpected note partners. If you cannot replicate the wonder of the sea and the exoticism of the early colony seeking voyages of our sea faring nation simply by making an Aqua Di Gio, why not stick a load of other stuff in there to make it more interesting. A very good idea. Biscuits containing bits of ginger and candied citrus like those lovely Scottish ones that I can’t remember the name of, lovely old fashioned waxy furniture polish in National Trust properties, dried coriander seeds and fresh coriander stalks, iodine infused seaweed after it’s attached itself to rocks on the beach. There you go, not entirely to do with it’s listed notes but that’s how it appears to my nose! Princess Anne: Bottega Veneta – Bottega Veneta (highly natural chypre with notes of hay and leather, obvious equine associations). The Queen Mum were she still with us: Penhaligon’s - Juniper Sling (she notoriously adored gin and was a very pretty girl in the Art Deco period). If you’ve enjoyed reading this article subscribe to ensure you never miss a piece of fragrant waffle, you can either enter your email in the ‘subscribe by email’ box or follow to link to the brand new facebook page (both on the right hand column).